Why is there a curse in the earth? What event opened the door for the curse? Who is the author of the curse, and who allowed it to enter the earth? What is the curse? 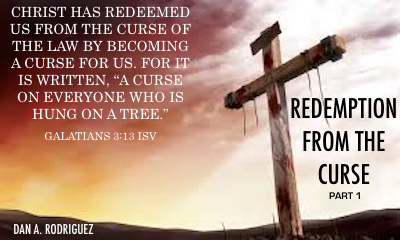 Galatians 3:13 told us that Christ redeemed us from the curse of the law. Two translations render the verse, “Christ redeemed us from the curse pronounced in the law”. What does that mean? Does redemption affect us automatically when we receive and confess Jesus as our Lord? We begin to answer these questions and more with this first podcast. Don’t miss this life-changing 10-part series! Be mightily blessed!